Had a big gig last night, setup the RV50, power on but nothing, nada, dead. Luckily, the venue was 5 minutes from home and I got my 40-year old Marshall 2204 and 4x12 cab out of retirement to save me. The RV is only two years old and has been to a gig once. It worked at rehearsal Monday, dead on Friday. Maybe something happened while transporting. At the show, I checked all cables, pulled out 4CM and plugged direct, changed speaker cables to my PPC212OB, flipped front switches, nothing. Couldn't hear a hiss but it was noisy at the venue. Output tubes glowing. I'm about to open it up, what are some things I can check for? It could be anything - from valve to a failed resistor or output transformer. I would try plugging it again to see if it makes any noises and whether that's channel specific, but if it flat out doesn't work, it's difficult to help you pin point it without more info. OK, so in a quiet environment, I can tap the input cable tip and get a very faint buzz. I tap the output valves and get a noise (left one is a little louder than the other). I saw the Phase Inverter was not pushed down all the way, I reseated it. Tapping the output valves and getting some noise leads me to believe it might be on the input/preamp side. Well, luckily it turned out to be the FX Loop 12AT7. Replaced it with a reliable very old and recently tested Mullard and all is good. Unbelievable that this happened on a two year old tube and unexpected on a top of the line amp. It is what it is I guess. Good you got it sorted. Valves are like light bulb, they can go anytime for no apparent reason. I've had a few worn out / microphonic valves over the year, but I've never a total sudden failure yet.... fingers crossed!!!! Glad it was an easy fix. Would you mind telling us what markings were on that tube? Yeah, that's the thing, playing something you're not used to. Love my Marshall, but it has several disadvantages. The Marshall doesn't have a loop or clean channel. My Fractal FX8 was all set for the RV and 4CM. I had to patch that to fake the loop. Plus I had to control clean sounds and patches live, with the guitar and volume pedal. Quite an improv type of evening. I did get comments on how the Marshall cut through better than the RV. Was surprised to hear that, since the RV is mid based. I might have to boost the RV treble a bit. Guess I need to put extra tubes in the stage tool kit now. Marshalls really do cut through band mixes easily, compared to the RV 50 I use to own, especially so. There's something about the compressed nature of the RV tone that means it doesn't cut through a band mix so easily.... One reason I got rid of mine. I'm pretty sure it's Shuguang. It's pretty common for them to fail in that position. A switch to any other tube brand seems to solve the problem permanently. I've pretty much used tube amps since the 70's and have never had this happen. At this price point, the RV is supposed to be pro caliber. I just don't understand the manufacturer putting in cheap tubes. What are the best possible tubes that I can put in this amp right now, that won't totally alter its tone? 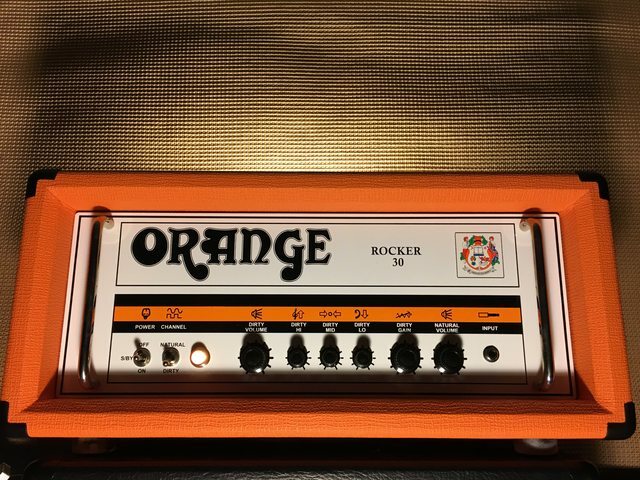 PM tubes have frequency come in Orange amps for the last few years, not my favorite but they are OK, in any case, tubes of any brand can fail, it happens perhaps rarely but it does happen, its no biggie. It's happened to me once at a gig but thankfully I took a spare amp. Tube brand is really down to preference. JJ are popular and Orange frequency use these for the powertubes and sometimes the pre-amp tubes although when I had an RV Groove tube power tubes were fitted. Ehx are also popular. PM/ Chinese valves aren't bad. I've read a number of forum members buying some JJ / EH or others to replace them, only to put them back in as they sounded best to them. I don't think they are any more or less unreliable, it's just that valves can fail anytime. 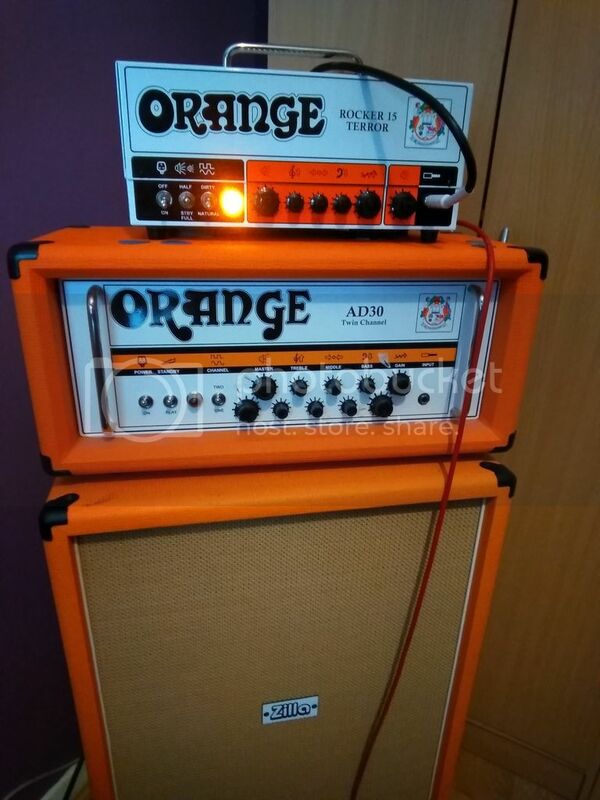 Shuguang are fine, and a lot of people love them, especially the preamp tubes, however, their 12at7 seems to fail in the effects loop position in the newer Orange amps. It happened to both of my amps, and it's happened a few times in these pages since I've been here. Put a JJ in there and you're good to go. Easy Peasy. It doesn't happen every time but putting that info out there might save someone a trip to the tech, and I felt obligated to do so.